The corner of Broadway Street S. and 4th Avenue W. has been bustling for the past week. Trucks of all shapes, sizes and capabilities have been coming and going, bringing dirt, pipes and cement. And many students are asking: what for? Signs were put up last week announcing the incoming store to be the family pharmacy CVS. 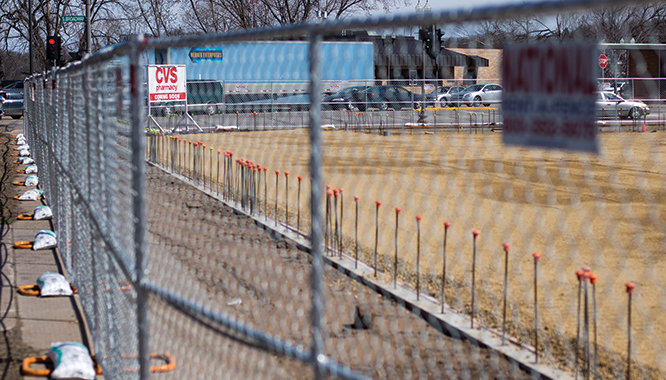 According to Director of Public Works Randy Eide, the store is expected to finish construction on Aug. 15, so it will be ready to go for the beginning of the 2014 fall semester. This is good news since CVS strives to deliver expert care, convenience and value to all of its customers. The installation of the pharmacy will give students a new location to purchase their prescriptions when attending the University of Wisconsin–Stout. Soon after the construction of CVS, there are plans to put in place an apartment and shopping complex, which is a decision that the city council has already approved. Construction dates for the apartment and shopping complex are currently unknown.